Please read the Guidelines and Terms below before submitting a photo. Please submit one photo at a time using the form below. After you click submit, a notice will appear at the bottom of the form informing you of whether we received the photo submission. Your contact information will auto-fill after the first submission. This makes it easier to submit more than one picture. Thanks! Choose one photo from your computer. Please describe the photo in a few words. Please describe the photo in detail. Who or what is in the photo? The Pacific Crest Trail is stunningly beautiful. Every year thousands of fantastic photos are taken of the trail. Many of the pictures we’ll publish in 2019 will be selected from those entered in the PCTA’s annual photo contest. 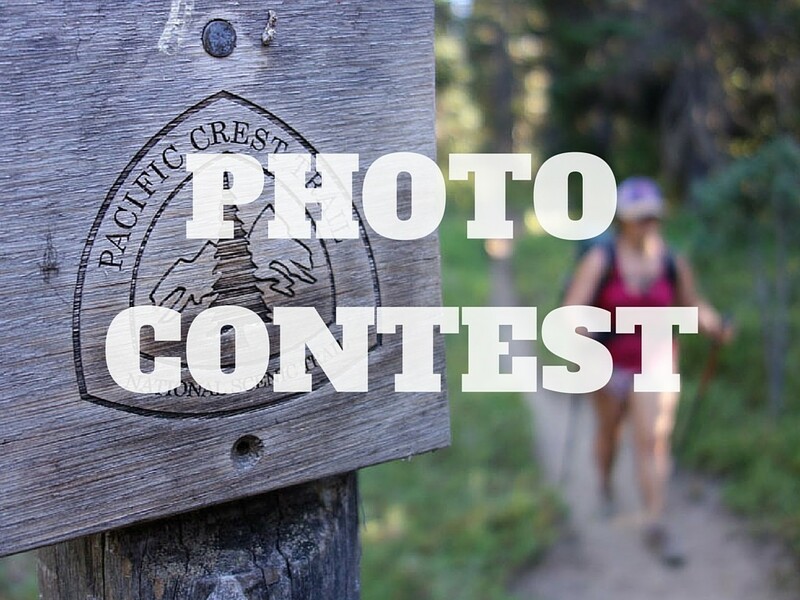 Do you have photographs that would look great on the cover of the PCT Communicator, in our annual calendar or in our trail protection materials? Volunteering your creative work lets you give back to the trail that you love. Put your photos to good use and help the trail. Please enter our 2019 Photo Contest. This year, we are awarding prizes for the top three overall winners. Judges will pick three winners in each category and then choose the best three of the entire show. Many thanks to our contest sponsor, LEKI. The company’s dedication to conservation and outdoor recreation is amazing. LEKI provided prize packages totaling $1,000 that are being awarded to the top three overall winners. Trail Majesty – A photo that captures the beauty of the PCT. Human Spirit – A photo along the PCT that shows hikers or riders and captures the essence of being there. 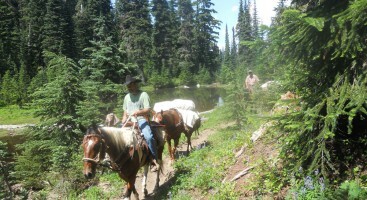 Equestrian – Any photo along the PCT that shows horses/stock and/or their riders in their PCT environment. Trail Work – Photos of PCTA or other trail maintenance volunteers along the PCT. 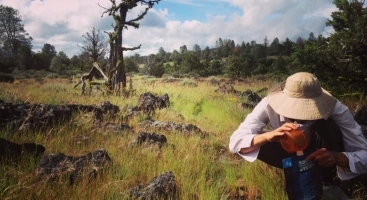 Flora and Fauna – Photos of plants and animals along the PCT. Submission deadline is February 25, 2019. JPEG or TIFF files are allowed but must be in a high resolution (at least 300 dots-per- inch or approximately 1000×1500 pixels for a 3×5 photo). If you ’d like your photos to be considered for our annual calendar or magazine covers, they should be at least 8.5×11 inches at 300 dpi or approx. 2500×3300 pixels in size. Each photo must include a working title, location and a detailed caption. Photos can be horizontal or vertical. Please upload in the proper orientation. You can enter up to 10 photos per category. 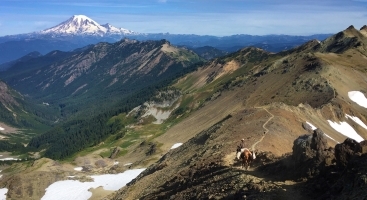 Your photographs help the PCTA protect the Pacific Crest Trail, the surrounding landscape and the hiking and equestrian experience for future generations. Thank you for helping to further our mission through your photography. No purchase is necessary to enter or win. Void where prohibited. By entering this contest, you agree to the terms and conditions relating to this contest and you are responsible for understanding your rights. 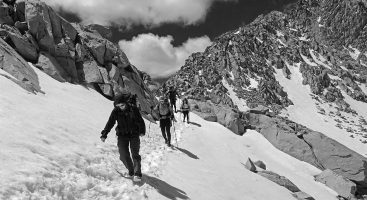 Photos entered are considered licensed to the Pacific Crest Trail Association in perpetuity. By entering the photo contest, you are giving the PCTA the right to use your photos as we see fit to promote the trail and its protection. Reproduce, distribute, transform, display and/or to perform your photographs in all print and electronic mediums at any size. Provide your photograph to other individuals and organizations for non-commercial use, such as in news stories, newsletters, reports, slide shows, displays, web pages, and the like. Archive in electronic forms so that your photos can be used to support our mission. Use your photo for Commercial and Editorial uses that directly benefit the PCTA and the trail. Whenever possible, PCTA will consult with photographers about outside uses. Whenever possible, PCTA will provide attribution in the form the photographer’s name and/or photographer’s website URL per PCTA’s discretion. Attribution will appear next to the photo or in the credits of the work product. By entering, participants agree to indemnify, defend and hold harmless the PCTA, its respective subsidiaries, affiliates, directors, officers, employees, attorneys, agents and representatives, from any and all third party liability for any injuries, loss, claim, action, demand or damage of any kind arising from or in connection with the competition (collectively, “Losses”), including without limitation any third party claim for copyright infringement or a violation of an individual’s right to privacy and/or publicity right. The Contest is void where prohibited by law. Contest entrants are responsible for ensuring that he or she has the right to submit the photos that he or she submits to the contest. You’ve got a fantastic story, beautiful photos, a video, song or piece of art. We’ve got a huge audience of passionate Pacific Crest Trail lovers. Let’s connect the two. Get published by PCTA.